Te Poha o Tohu Raumati (EMP) was developed to enable our whānau to articulate their aspirations for managing natural resources within our takiwa. It provides a resource document for applicants who wish to consult with tangata whenua as part of lodging resource consent or other applications, for any persons, groups or organisations interested in Ngati Kuri values, perspectives and policies related to environmental management generally. The Plan addresses issues of concern to tangata whenua associated with natural resource and environmental related activities and topics of importance to Ngati Kuri. It provides policies, perspectives and guidelines on such things as specific activities, species, ecosystems, landscapes or places. They are intended to provide management guidance, according to Ngati Kuri values and knowledge in resolving significant environmental management issues and promoting the sustainable management of natural resources in the takiwā. 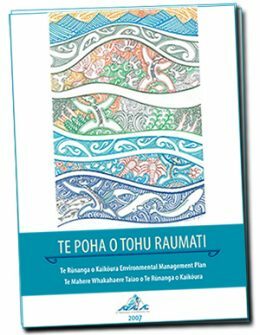 The relationship between Te Poha o Tohu Raumati and the Te Korowai o Te Tai o Marokura Strategy – the EMP is our governing document for environmental matters in our takiwā including the coastal marine area. The Te Korowai strategy is a means by which we can implement policies from Te Poha o Tohu Raumati. The Te Korowai strategy reflects policies from Te Poha particularly section 3.6. These policies in turn, will then be reflected in any subsequent management plans that Te Korowai develops for each of the respective management tools identified in the Te Korowai strategy (eg) mātaitai, taiapure etc.